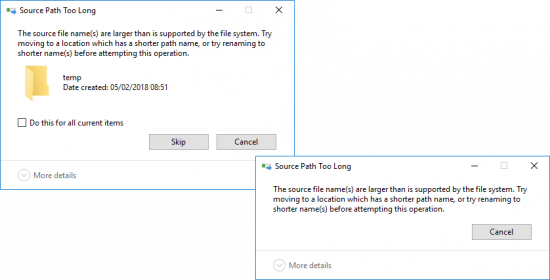 “Have you come across a problem deleting folders with long filenames?” I got asked this question twice in the first week at a new job. 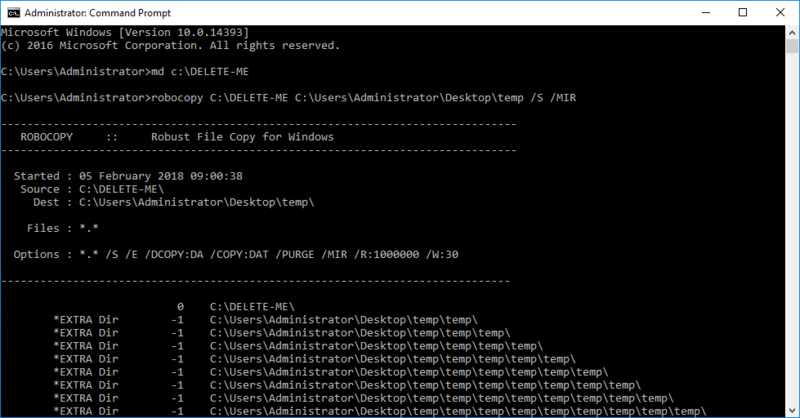 In a former role my colleague did a lot of work in schools and was forever coming across this problem when doing file migrations. As it transpired this was a problem at, yes you’ve guessed it a school that was a client. 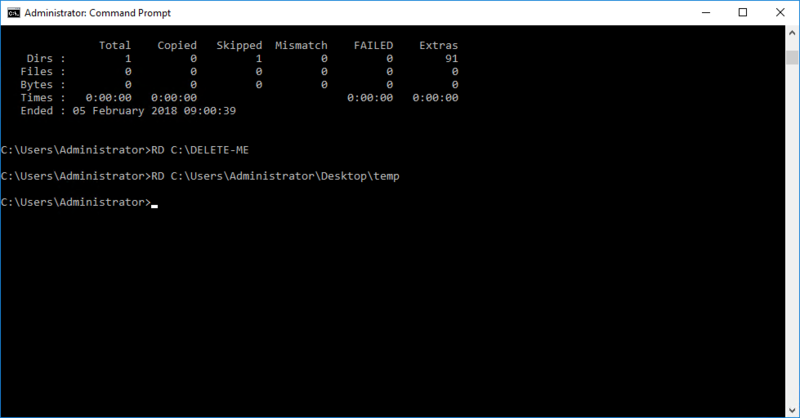 The little darlings had got hold of a script that recursively created nested folders, and as obviously this is hilarious it had happened multiple times. I didn’t have a solution of the top of my head, but I thought I’d try and recreate the problem, and see if there was a simple solution. The most difficult part was replicating the script. 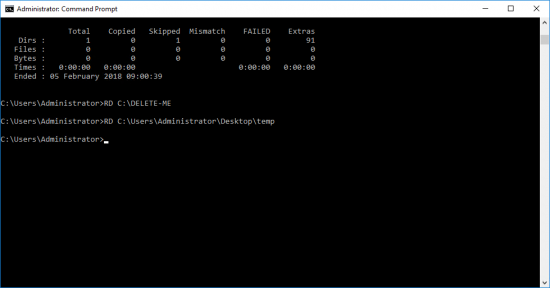 Windows is pretty good at protecting itself. But thanks to the good folk at Experts-Exchange’s assistance, I was good to go, attempting to move or delete the file generated the error you see above. 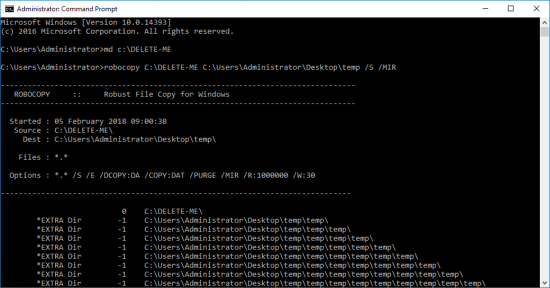 Robocopy has been built into windows for a while, you can use it with the /MIR flag to remove all your subfolders. I’m always suspicious of third party tools, and if you Google this problem two pieces of software will jump out, one’s brilliant does not have any spamware or malware in it, the other one’s, well not free and annoying. 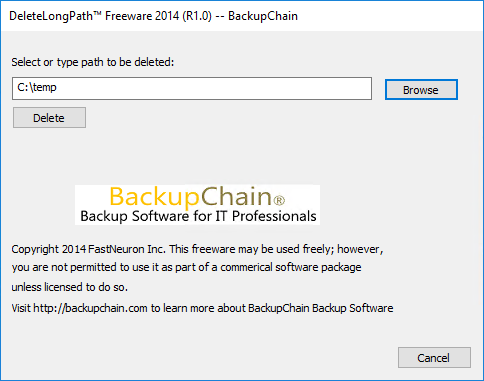 DeleteLongPath by BackupChain simple and does exactly what you expect. Take some time to look a their backup software as well! Message boards are spammed with people saying how great this piece of software is, probably by the clowns who make it! 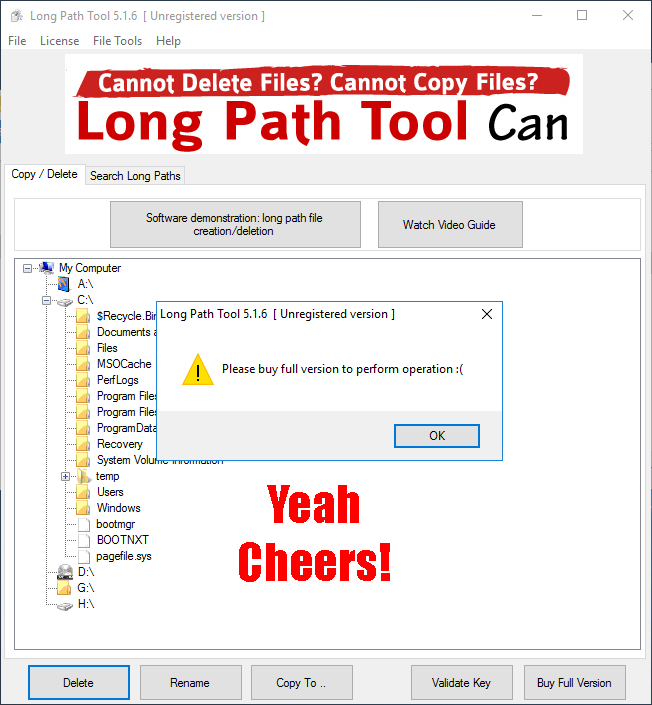 Long Path Tool, they just want your money don’t bother. Update: I’ve had about 15 to 20 chancers trying to post favourable comments for this piece of junk, don’t bother i wont approve them! 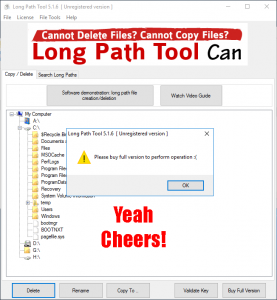 have you tried ‘long path tool’?